Having a home office setup is common among startup and single proprietorship businesses. Home offices are sometimes just a temporary thing while the owner is still looking for an office suitable to his/her business and budget. Sometimes a home setup is also for the long term such as when the owner already have an office somewhere but he/she wants a small space in the house where he can answer emails and do business matters in the internet. Whatever you do in your home office setup you deserve better than placing a simple desk and extra chair to be called a home office. A home office setup should reflect the design and coziness of the rest of the house and at the same time a little bit formal. 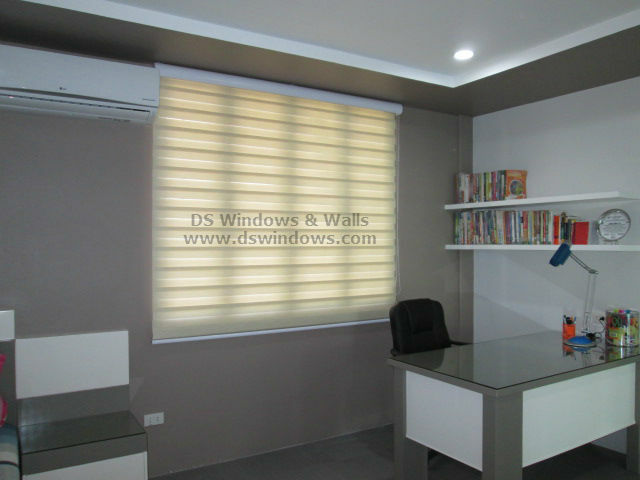 Here are some of the tips that our client in Marikina City use in creating his own charming and practical work space. First find a good spot to use as your working space since you’ll most likely spend a lot of hours in your home office. Having said this consider a place that has minimal distraction that might interrupt your work. It’s also advisable to have a window near you to make you feel more relaxed from long hours of working and avoid the feeling of confinement in one place. Secondly choose furniture’s that are both beautiful and functional. This is not your soulless office this is your personal home office so it should be homey accessories that can complement other rooms in your house. You should invest for functional, beautiful and comfortable desk, shelves and storage specially the chair since you’ll be sitting for many hours a beautiful and comfortable seat is worth every peso you spend. Lastly paint the wall a color of your choice that you will feel more relaxed. You need a color that inspire you to work. Most people will go with light color since it makes the room brighter and calmer while others enjoy vibrant color such as red or orange. Just choose a color that makes you feel more at home and comfortable. 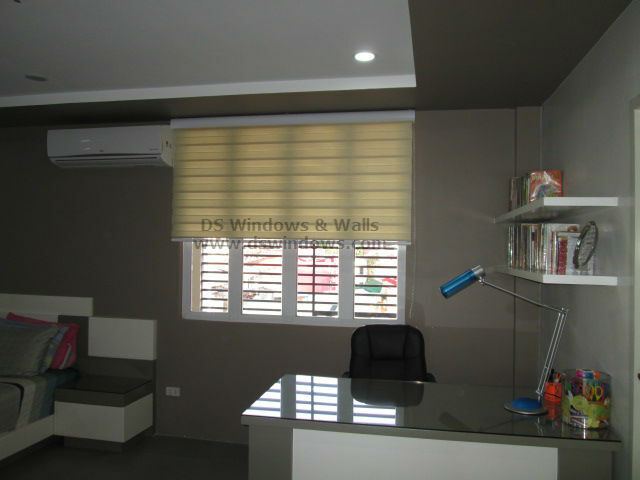 For our client he chooses a corner of his bedroom where a window is close by as his home office. Inside his bedroom he can have all the privacy he wanted without any distraction a perfect setting for a personal office. His chair is also close to the window since natural light is ideal for uplifting the mood and offering a fresher air circulation. Although there’s also a drawback in sitting near the windows since too much sunlight can really be annoying and distressful you can use window treatment to prevent sun from entering. One of the simplest window treatments available that you can prevent too much sunlight and provide you enough privacy to do your work is Combi Blinds. 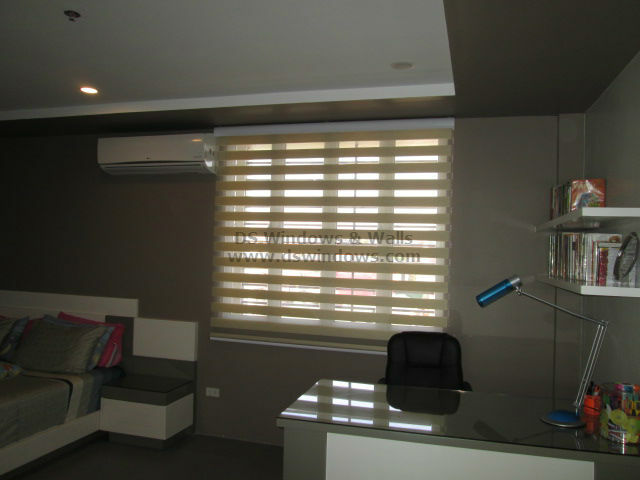 With combi blinds, adding privacy and sophistication to your home office becomes a simple task and with just the right color of your choice you can easily match whatever your motif is.